Last year I visited Hyderabad, which is the second largest IT development hub of India after Bangalore. I went to Hyderabad to participate in a software conference, where I met many small and medium-sized software companies feverishly looking for international business. Most of these companies offered software development services, although just like here in the U.S. only a small subset focus on the high-tech sector and offer product development services. These companies generally have better product engineering talent, and appreciation of advanced product design and engineering techniques and development processes. On the other hand, I hear from many Boston start-ups and emerging companies that in this region they have difficulties finding the qualified software engineers that they need to take their business to the next level. I wondered what the reasons are behind demand and supply obviously not meeting, and what would be standing in the way of a closer partnership between Boston and Hyderabad for the benefit of both communities. To verify this perception, I spoke with Ramesh Loganathan, head of the Hyderabad-based development center of Bostonâ€™s own Progress Software. Ramesh does not believe that there is much difference between India and the United States concerning the range of engineering talent and the colleges from which they graduate. We should realize that the many brilliant Indian software engineers and entrepreneurs that most of us have worked with here in Massachusetts often have the same educational background as their colleagues in Hyderabad. The total pool of system engineers in India is estimated to be over one million, with a wide range of talents. Most tech companies are looking for the top 2-5 percent of the talent. It is not obvious for Boston high-tech companies how to find the cream of the crop. Also, like in the U.S. the top talent is demanding interesting and challenging projects, so dumping projects that nobody at home wants to do is not a good strategy either. Ramesh confirmed that India does not have a very long tradition of educating software engineers. They lack our â€œhackersâ€� who grew up professionally in the 1970s and 1980s. Therefore, universities are unable to train their students for a job in a company developing complex software in a commercial environment. However, there are about 30 top engineering universities in India, whose graduates are accepted for post graduate studies at MIT and other top universities. One of them is the International Institute of Information Technology, Hyderabad, or IIIT-H for short. Ramesh explained that the software development centers of U.S. companies like Progress Software play an important role in bringing graduates from Indian universities to U.S. standards. Along the modern expressway from the airport to my hotel I noticed large buildings with the names of Microsoft, Google, Oracle, Accenture, and other companies that have chosen Hyderabad for major software development. 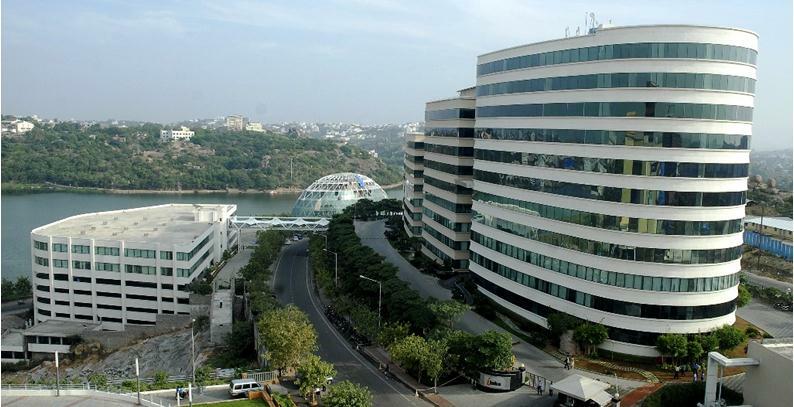 Microsoftâ€™s campus in Hyderabad is their largest development center outside Washington State. The center is working on major products like Office and Bing. Progress Software in Hyderabad has scaled up very quickly. Today, the Hyderabad development center is the largest of the four centers of Progress in the U.S., U.K. and India. The Hyderabad teams contribute actively to all key strategic product initiatives and deliver some great products. The only aspect that the teams may be lacking is the much longer experience and also the long specific experience on Progress products that engineers in the other Progress locations may have. The Hyderabad labs are just 7 years old. The average age of the engineers is also much younger than in the U.S.
An interesting trend is that some of the most enterprising engineers leave the security of a job at large development centers to start their own companies. So obviously a generation of skilled software engineers does exist in India. The challenge is to make this talent available to smaller Boston companies. The positive experience of Progress, Microsoft and other companies confirms that strong U.S.-tested management on location is an important factor for success. Another issue, which I have myself observed many times, is that software companies from India usually lack the skills to market themselves effectively in the U.S. Many VPs of Engineering in the Boston area have shared with me that they get several calls per week from Indian companies, but they have mostly given up trying to qualify these companies and understand what differentiates them from other companies that call. I am working with friends in Hyderabad to find practical solutions to these issues. We are planning to put a pilot project in place to demonstrate the viability of closer software development partnerships between the cities of Boston and Hyderabad. Jos Scheffelaar is CEO and Co-Founder of Launch in US Alliance, Principal of Scheffelaar Consulting, Co-Chair of the TiE Boston Wireless SIG, and a Boston World Partnerships Connector.